It’s a slow Sunday morning in Honolulu. You’ve sipping your morning coffee and just opened your laptop to check out the latest home listings. You know there a good number of open houses today and are looking for “your” home. You’re doing the home search on your own. Pretty sure you’re doing it right…after all, everything you need is on the Internet right? Google has everything you need, and you’ve done this before…. There’s no doubt you can do it….the question is should you? A home is likely the largest financial transaction of your life, and in Hawaii that very easily could be a million dollars or more… Are you willing to risk a million dollars on your gut instinct? Real estate agents have a tremendous amount of expertise. This includes terminology, market knowledge, and the “ins and outs” the could save you from a critical mistake. If you have ever listened to a couple of agents “talk shop”, this alone should make you nervous. How are you supposed to keep up? To ensure that you don’t say the wrong thing and drive a sale away, or walk into a bad deal. Because of their training and experience, agents are able to give you advice on realistic purchase and listing prices. Plus, they can provide you with a report of comparable homes for sale and historic market data, so that you can ensure you’re getting the most for your money. [FREE Consultation] Ready to go? Click Here! One of the most difficult tasks whether buying or selling a home is handling the negotiations. Many times, real estate agents can help you to get creative with your offers so that you end up with a deal that has your best interests in mind. They are also there to help you with the emotions that come with real estate. The new “dream house”, or the memories of your last one. The mental preparation, as well as the guidance preparing for this phase, can be worth thousands of dollars to you. The number of meetings, inspections, appraisals can be overwhelming if you have a busy schedule. A good agent coordinates and hosts your showings, and these other meetings. 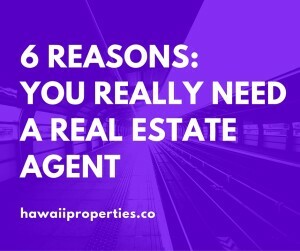 Whether you’re buying or selling, real estate agents can truly be a lifesaver when it comes to doing the hard work for you. A real estate agent will be there for you when the last minute showing comes up in the middle of the day, or when you need to schedule 15 appointments over a weekend. There are more ways to find of sell your home than the traditional MLS. According to a the National Association of Realtors, 82% of real estate sales are the result of agent contacts. So, do you want that network helping you? When you’re looking for a new home, many times your agent will have the inside scoop on the latest listings. Through their relationships, they’re able to quickly assess the seller’s situation, the property, and their overall experience to give you advice on suggested negotiation tactics. Is the property priced right, is it a good deal… the opportunity to take advantage of this should matter to you. Additionally, when you’re selling, a good real estate agent will leverage their networks and move beyond “only a listing” on the web. Everyone has heard the phrase….location, location, location. While location matters, the market and the people looking have changed. The modern buyer expects more than a fact sheet and a basic photo. Professional photos and even videos do as much to sell your home as an open house. Work with your agent to set up staging and marketing across various channels. Web pages, social media…. it’s amazing how fast and how far you home will go. Chances are, either buying or selling a property you are going to need some professional expertise. Land surveys, roof inspections, home inspectors, well and septic, lawyers, moving companies…and the list goes on. The opportunity to get a referral from a professional makes all the difference. After all, for these businesses you are a single client; however, an agency may send a large number of clients. Plus, agents talk. Poor support quickly has a way of spreading through the community. It isn’t a responsibility your Real Estate Agent will take lightly….